The Kasper Fighting Fixed Blade knife was designed as a companion to the Kasper Fighting Folder. The S30V stainless steel blade is satin finished and is a little over 1/8 thick. The blade is double ground with the top edge sharpened. 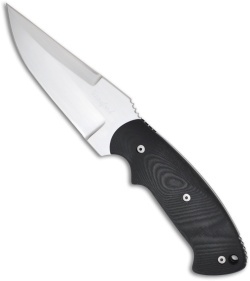 The handle features Black linen Micarta scales that are perfectly contoured for exceptional fit and feel with a flared end. This self defense belt knife is made to fit inside your waistband with a "S" hook to go under your belt. 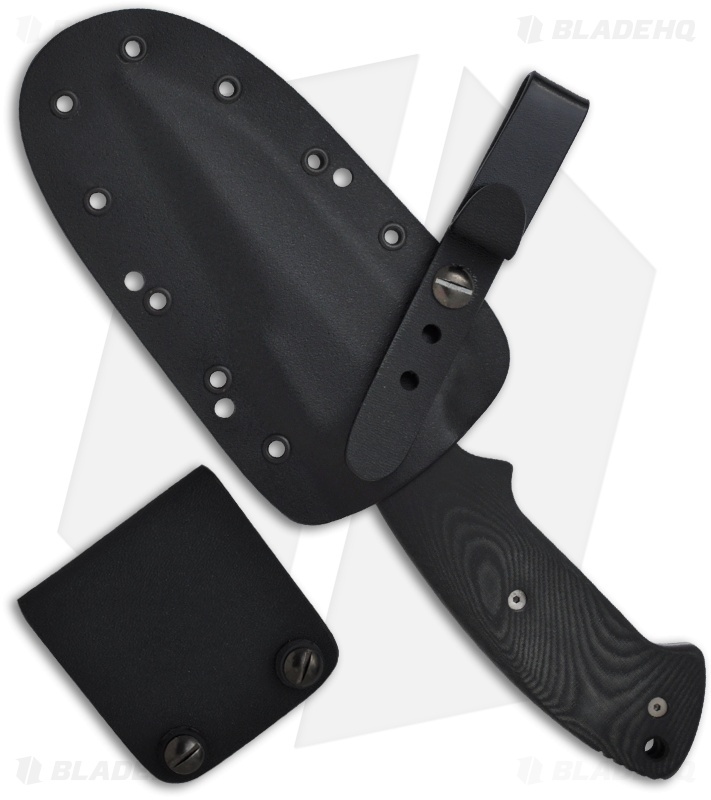 It also comes with a removable belt loop so that you can wear the knife in the horizontal position, high or low on your belt. The first 50 knives of each size (4" & 5") are numbered 1 through 50 of 50, and Bob's last name "Kasper".